To suit 1.1/2" shaft. Diameter (O/D): 112mm O/D of fixing flange. Diameter (I/D): 1.1/2" through I/D. Length: 95mm long without gland studs. Fixings: 2 x M10 brass studs with 4 x galv M10 nuts. 4 x 10mm holes to suit M10 bolts (not supplied). 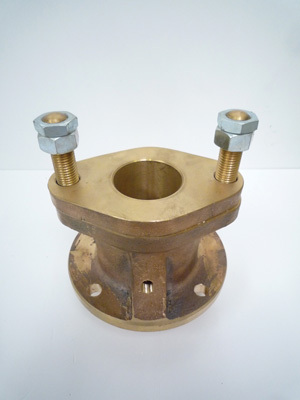 Thread Size: 1/8" BSPT grease inlet.